Israel approves new homes in West Bank | It's Only Natural To Resist. Cabinet authorises 3,000 units in illegal settlements in occupied territory, a day after UN upgraded Palestine’s status. The Israeli government has approved the construction of 3,000 new homes in illegal settlements in the occupied West Bank, less than 24 hours after the UN voted for Palestine to be upgraded to a non-member observer state, according to Israeli media reports. The homes will be built both in East Jerusalem and the West Bank, but the government did not stipulate in which settlements. According to a report in Haaretz, prime minister Binyamin Netanyahu also plans to “promote planning and construction” in the so-called E-1 area between Jerusalem and Ma’ale Adumim, a major settlement with nearly 40,000 inhabitants. The Obama administration has tried to discourage construction in E-1, which would cut off East Jerusalem from surrounding Arab towns and further carve up the West Bank, already riven by Israeli settlements and military checkpoints. The White House issued a brief statement on the announcement, which used largely the same language that the US has used for years in condemning Israeli settlement expansion. 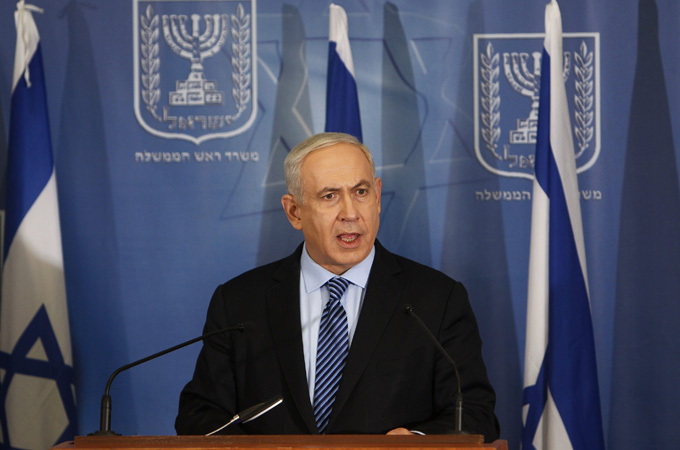 The decision was made by Israel’s “security cabinet,” a forum of nine senior ministers led by Netanyahu. Israel’s government had threatened to approve further construction in the settlements as a possible response to Palestine’s bid for recognition. The prime minister’s office would not comment on whether the announcement was punishment for the UN vote. Palestinian officials have anyway described it as a meaningless threat: Even before the bid, Netanyahu’s government has been approved thousands of new settler homes each year. Allow me to sum this up: Illegal, Illegal, ILLEGAL. This entry was posted on December 1, 2012 by ispeak4palestine. It was filed under Articles on Palestine and was tagged with Israel, Jerusalem, Obama, Palestine, Politics.